Paul Collingwood is central to Durham's hopes. Photo courtesy of Youtube. It must have been a long old season to have been involved with Durham cricket. When they were hammered by the ECB penalties as a result of their financial issues, it always meant this season was going to be a struggle. Beginning the season in Division Two on -48 points, having suffered enforced relegation from the top flight, they had next to no chance of promotion. It was a bit like trying to win a Formula One World Championship with only three wheels on your car. Despite that, Durham would have wanted to fare better than they did. 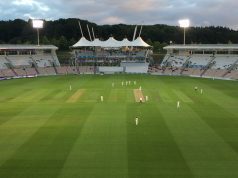 The departures of Mark Stoneman and Scott Borthwick were always going to hit them hard in the runs department, but three wins is nowhere near what they would have been hoping for. They were also docked points in both limited-overs formats as well, limiting their chances of success in either the T20 Blast or Royal London One-Day Cup. But again, even with the chances of finishing high enough in the table to qualify seeming slim, Durham ought to have picked up more wins than they did. They have also relied heavily once again on the form and the enduring quality of all-rounder Paul Collingwood. But at 41, with the best will in the world, it’s hard to think that they can keep relying on him for too much longer. So the upshot of the 2017 season is that Durham began with one hand tied behind their back, and that may well have broken the spirit and left the performances lacking the edge that they needed. The difficulty for the North East side is that it doesn’t look like getting better any time soon. The inevitable exodus of their best players has continued, with Paul Coughlin, Graham Onions and Keaton Jennings all leaving the club next season to join Nottinghamshire and Lancashire in Division One. Who else but the evergreen Paul Collingwood? Even at the age of 41 he has been the standout man for his side this season, contributing with both bat and ball in all three formats. 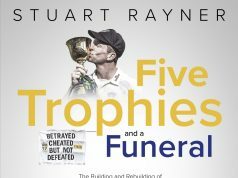 He was the only Durham player to notch over 1000 runs in the County Championship and, as he will be in the England party as a coach for the Ashes, they could do worse than stick him out there on the field! It’s been a big year for Cameron Steel. Having made his first-class debut back in 2014, this was the year he’s really made his mark for Durham. He notched 899 runs in 13 matches, with a healthy average of 40.50. The 22-year-old had also chipped in with eight wickets and will want to continue to be a key player for Durham in the seasons to come. Aside from his England stuggles against South Africa, it was a tough year for Keaton Jennings in the Championship. Just the one century from his 11 matches and an average of 25.79 is not the kind of form he was looking for. Jennings fared much better in the 50-over format, but he will hope his move to Lancashire can inspire an upturn in his form. It’s tough to be critical of a side who were hampered so badly and are losing players left, right and centre. But frankly, Durham just need to find a way to win matches again. Just ten wins all season across all three formats is not what they’re looking for and, somehow, they have to find a way to increase that tally next year. 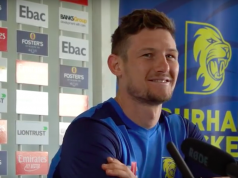 Durham will have to hope they have a raft of youngsters ready to step up, as with the departures of Jennings, Coughlin and Onions there are serious holes in the side. Will Smith’s return is a shrewd acquisition, but it’s a big winter in the North East. Let’s not shy away from it, it’s been dire at Durham. It was expected to be so and so it proved. Very little anyone could do to achieve success this season, though they would have wanted more wins.